In LCA we don’t really agree on the principle of paying for COIL bootlegs, though we are well aware it may take fans considerable time and effort to locate and possibly digitise their COIL audio/visual rarities for us fans to experience. 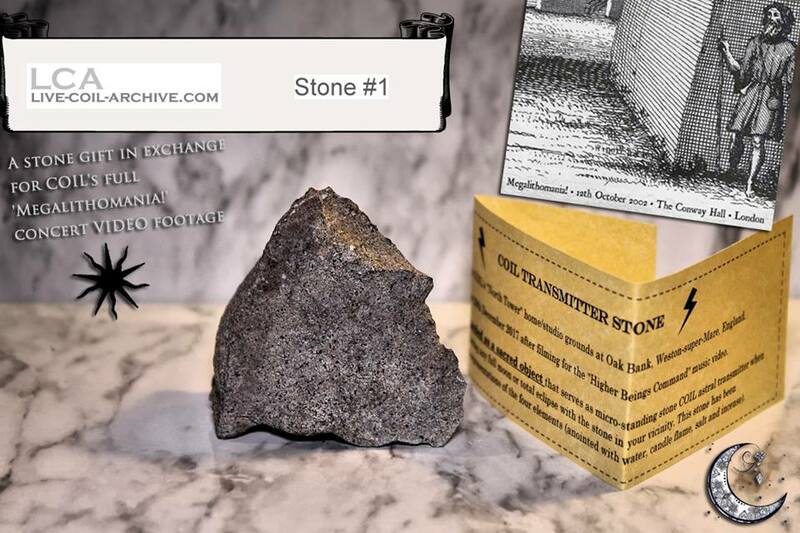 So, if you have any of the following previously-uncirculated COIL items, we will exchange a digital copy of what you have with the small gesture of a stone talisman gift (aka “COIL Transmitter Stone”) straight from COIL’s former North Tower home/recording studio grounds in Weston-super-Mare. 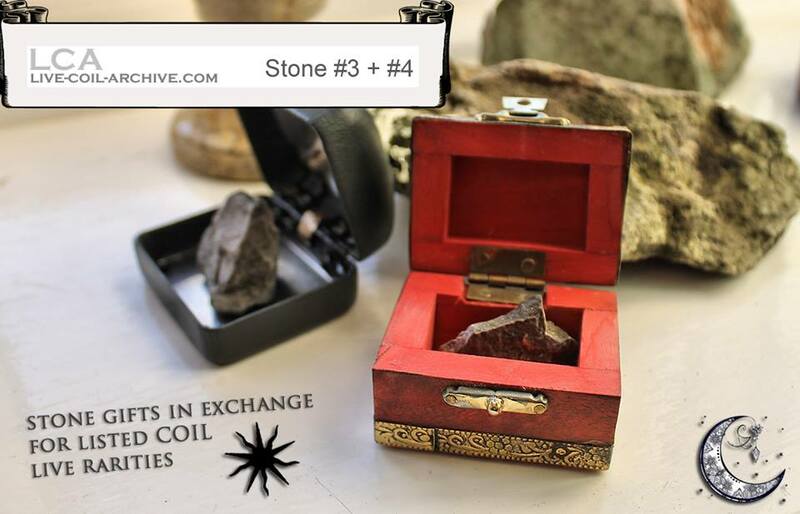 These four stones were specifically sourced with permission by Phil Barrington during his recent “Higher Beings Command” fan-project video shoot there. 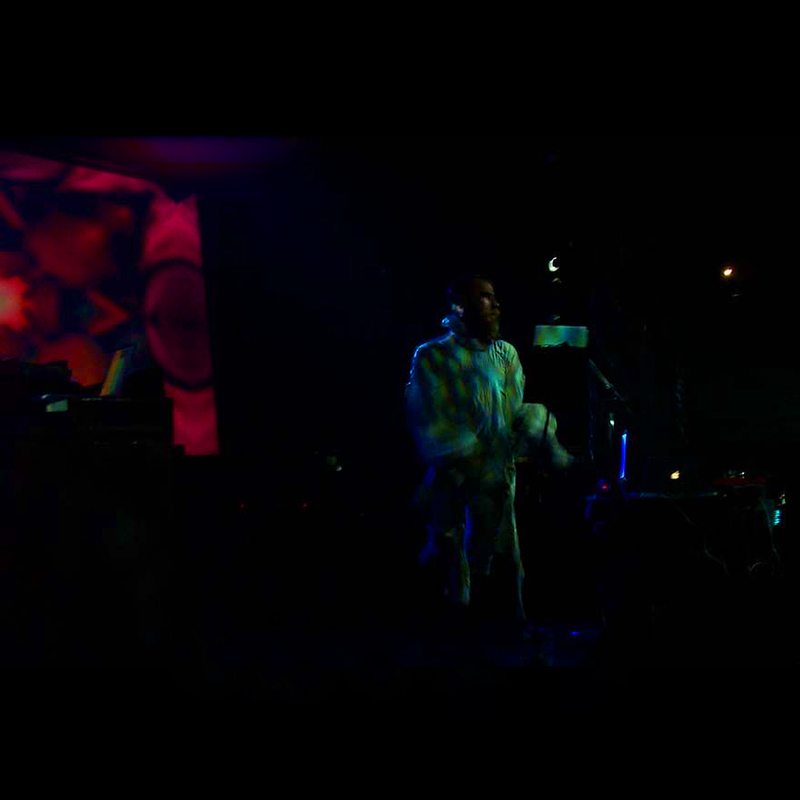 In exchange for COIL’s full ‘Megalithomania’ concert VIDEO footage in highest quality digital transfer possible (in any file format). Our photographs show front & back of this great upright-standing stone. 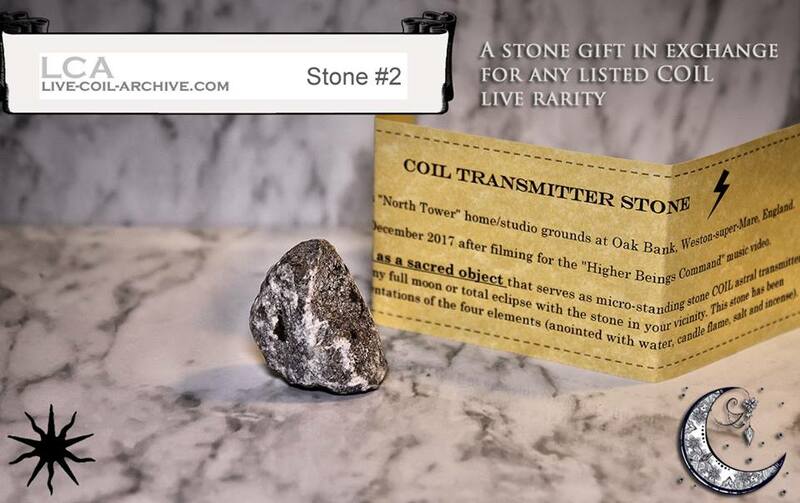 #2 – White consecrated ‘COil Transmitter Stone’ – CLAIMED! In exchange for any full concert audio/video recording specified on our Wants list (see below). February 11, 2018: THIS STONE HAS BEEN CLAIMED! Don Rubin exchanged 2002-04-13 Glauchau [SBD #1b] for it. May 11, 2018: THIS STONE HAS BEEN CLAIMED! Chris and Patrick exchanged 2001-03-25 Nantes [AMT] for it. 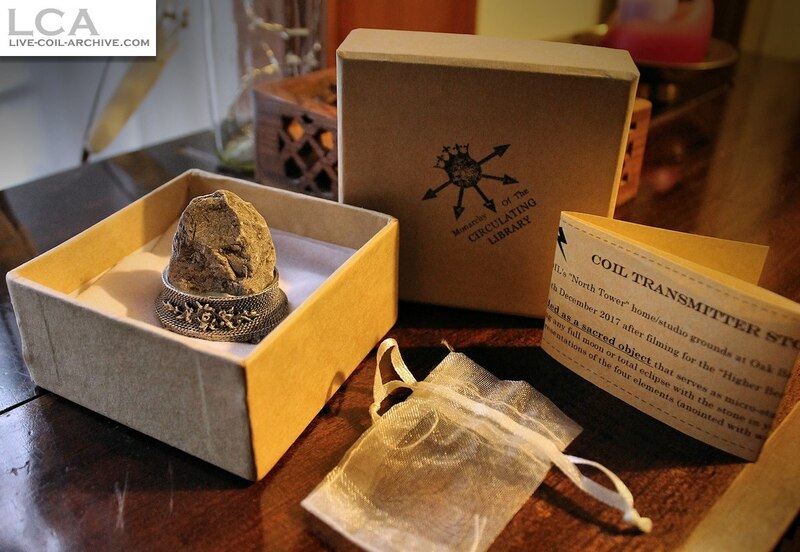 All four stones come in different decorative packaging/boxes/pouch depending on the stone, along with a printed description slip in each package (we have geological provenance details too, if desired). Q. What do we mean by ‘consecrated’? 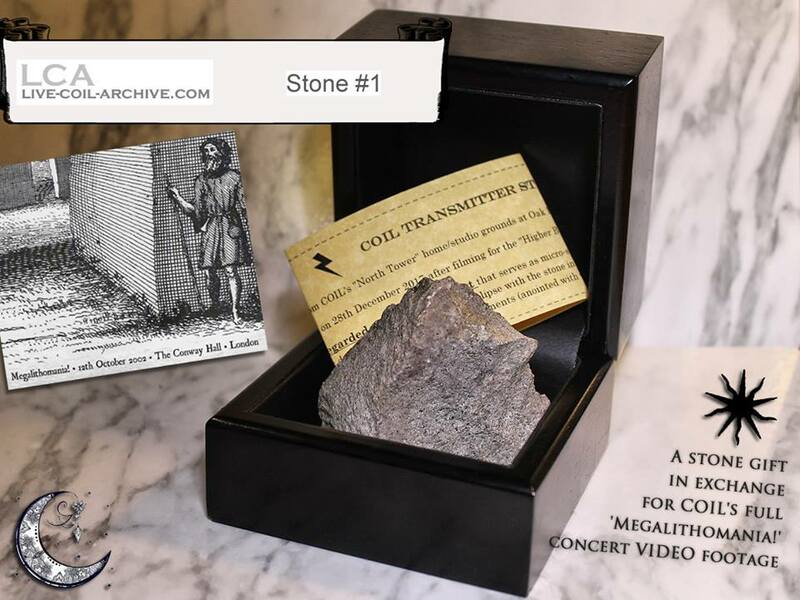 Note: all received COIL recordings are for us to fully share on the public LCA site for free, with noted credit to you (we can digitally transfer your posted physical items for you too if needed, and you can always send us recordings under strict anonymity if requested). Ash Neuro was nice enough to donate his previously unsurfaced video for the 2002-10-25 St. John’s Church gig to coincide with this website’s launch. Thank you again, mate! AMT – amateur video, taken by an audience member, usually poorer quality than PRO videos (these recordings may be used on the EDIT sections, but have surfaced separately and stand on their own). 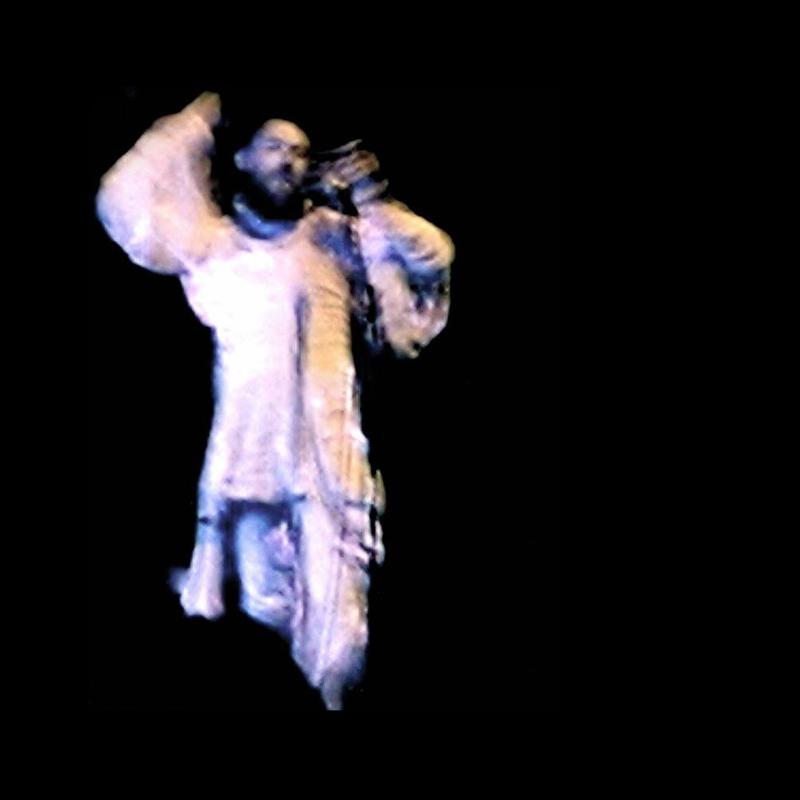 PRO – professionally shot video, but not included on Colour Sound Oblivion, has surfaced separately. ANY others we have no idea about! 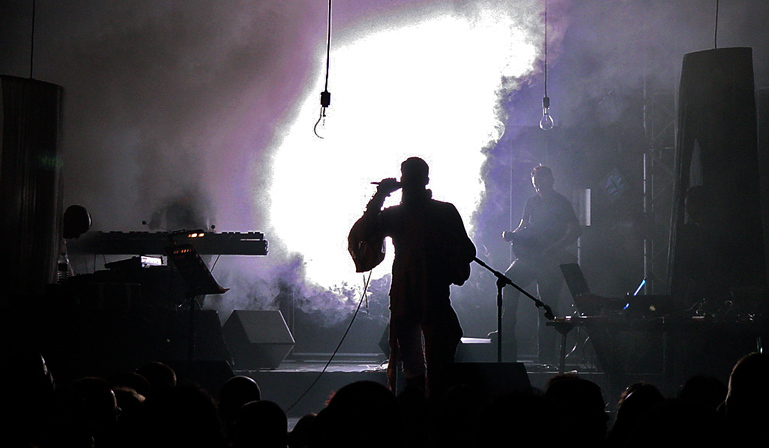 We would appreciate any pictures before, during, or after Coil’s live shows! Coil tape trading largely occurred in the early 2000s, an era when MP3s and CD-r trading were relatively new. At the time, no one really cared about keeping track of recording lineage, and as such, most recordings are of unknown lineage today. All we know is that most recordings are currently only available in MP3, which is a lossy recording format. Because CD-r trading was so prevalent, in some cases, a recording’s lineage might look something like M0 Tape > MP3 > CDr > FLAC > MP3 > CDr > MP3. We don’t know! CD burning software could also add burn errors, pops, clicks, silence between tracks, etc. We are audiophiles, and as such, would like to listen and preserve the best quality versions of every recording possible. Ideally, straight digital rips from master tapes are always the best. If you have any source upgrades to any pre-existing recording, even if it’s just a FLAC upgrade to an MP3 source, please let us know! The same logic applies to video. Many bootleg videos were shared in extremely low quality back in the day, such as 2002-04-12 Volksbuhne’s AMT #1b, to save on storage space, which was very limited in computers at the time. If you have any video upgrades, please let us know! I fancy myself an amateur video editor. In my spare time, if a particular Coil concert has multiple audio and video sources, I like to make “matrix mixes” of them in order to provide the best possible document of the show. I don’t mess with the sources, i.e. making digital zoom-ins in video or anything of that sort – I mostly just patch them as they are all together, warts and all. You can find many on my Youtube channel, Coil Archiver. I can offer such editing services to anyone who shares new recordings or source upgrades to previously known recordings at the recording sharer’s request. I cannot give deadlines to these, as they will only be done in my (limited) spare time, but I can offer it as an incentive if you have a new recording or source upgrade to a Coil concert. Please consider it if you are interested.